Here's my theme song.. funny huh? This last week we had the reoccurring visit from the doggy artist. 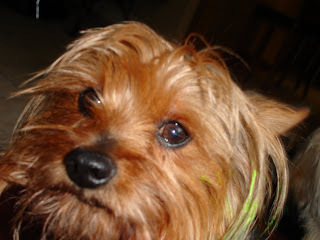 His name is Peanut and he obviously has a passion for paint when I am not looking. This time the little stinker couldn’t deny he had been the one who committed the crime.. he was sporting the evidence of his artistly passion! The guilty look as I snapped the photos cracked me up. Anyway, you’ll never know what is going to happen around the studio here. 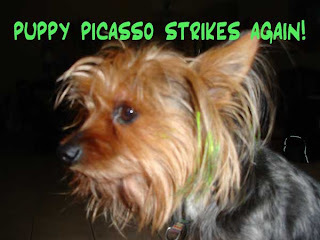 He is the sweetest little yorkie.. but should have been named Picasso! I had the most incredible weekend. 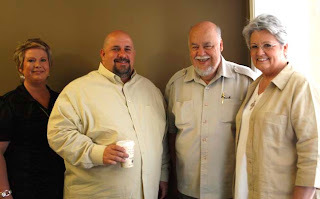 My husband and I were priveleged and honored to meet Dave and Jean Ohlerking. The Ohlerking’s are founders of the organization Children’s Cup. There was one thing I just really loved about them–is they are so intense! This couple has a passion to help the hurting and to share God’s love to those that many of us in the western world has turned a blind eye to. 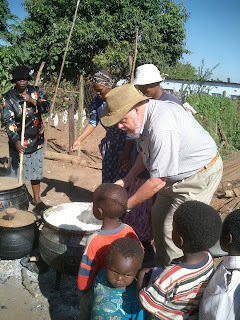 continually establish more centers around the world, as well as to continue helping in Africa. It takes a comprehensive approach to the orphan and vulnerable children (OVC) issue and requires treating the whole child. A CarePoint becomes a central point for providing the multiple services necessary. Physical needs are met by providing a meal and vitamins daily. Immunizations and voluntary HIV/AIDS testing are offered. 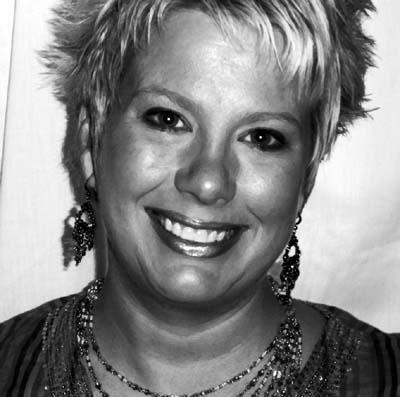 Volunteers teach HIV/AIDS education. Children’s Cup invests in these children mentally by making preschool, basic literacy programs and job training available. Social support is important, teaching life skills through a youth outreach program. Kids’ Clubs on Saturdays give extra support and moral education. Extra care and attention is given to orphan-headed households. 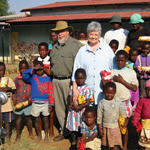 Dave and Jean are doing an incredible work to help these precious children. 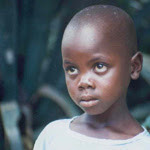 Aids has left over 60,000 orphans in Swaziland alone and the number is expected to rise. These little children are exploited in ways that are humanly unimaginable. It’s not uncommon for children as young as 2 years old to be raped. My heart broke as we talked at a local restaurant for hours. Within moments, I knew that this was a global problem- not just an africa problem , or an aids problem..and then I realized, this was my problem. Many of you have come to know me through my art, then you knew my heart to help and give back. I have to do something to stand up for the innocent and defenseless ones who can’t take care of themselves alone. Soon you will be hearing more from me with an opportunity for you to join with me and Children’s Cup as we make a difference. Please consider helping feed, clothe, and love these precious little children. I’ll post more as my mind can clearly communicate just what my heart is feeling! The poor are where God lives. God is in the slums, in the cardboard boxes where the poor play house. God is where the opportunity is lost and lives are shattered. God is with the mother who has infected a child with a virus that will take both their lives. God is under the rubble in the cries we hear during wartime. God, my friends, is with the poor, and God is with us if we are with them. Original Painting or Giclee Print on Canvas? I just recently recieved this wonderful email from a would-be collector wanting to know exactly what is the difference between purchasing an original vs. a giclee on canvas. I thought this information might be valuable to you. Hi Martin-Thanks so much for your email. I appreciate your interest in my art. Hereare the pro’s and con’s of prints on canvas vs. an original painting. Obviously an original painting is considered an investment that shouldappreciate each year as an artist continues to mature and expand their artcareer. Originals are more “collectable” meaning they would be the bestreturn for your money if an artist were to be later discovered as one of thegreat masters of their time. ( Like Pollock, Van Gogh, Matisse or Picasso)Resale value of artwork is much higher if you own an original. Now while Iam not going to say I am the next Picasso, my career has been advancing and my work is becoming more valuable, causing higher demand. Of course, this also means the prices for originals increases as my career expands each year. Getting in on earlier work means you may be able to get a better price than waiting over the course of time, thus allowing you to snag a true jewel that will be worth so much more as time goes on. Prints on Canvas offer a wonderful option for the collector who isn’t aserious art investor/collector. My giclee prints on canvas are archival for100 years and are color corrected to be as vibrant as the original. We use avery reputable printer, who prints each giclee individually instead of “massproducing”. The prints are on stretcher bars, so the appearance is one that looks just like an original painting on canvas. Each print on canvas is sealed with a sealant to protect the giclee. Another added value of purchasing a print on canvas as while they look just like an original, the cost is much more affordable. This allows my collectors to be able to start a collection of my work, and purchase several of their favorites to quickly amass a grouping. If you just love my art for the art’s sake, this is a great way to go. I personally can not distinguish between the original and a print on canvas from across the room. Remarquing takes a giclee to the next level, by having the artist actually hand embellish the print by painting on it. This adds originality, makes the giclee more unique and also enhances collectibility by having the artist place their “dna” on the piece making it more desirable. A good remarque also adds emphasis to the highlights of thework, further blurring the line between an original and a giclee. All in all, the decision basically boils down to the collector. Many of my collectors only prefer to purchase originals simply because they desire to have an original painting. Others enjoy collecting prints on canvas due to the affordability . The bottom line is it really just depends on what youwant, both are a great option. If you need anymore help- please feel free to email me. I’d love to help youmake the process as easy as possible! Here's a quick photo of new little baby. She's a real cutie but quite a handful . Lexie Lulu Maria is spunky, sweet and spicey all rolled into one. She has our hearts wrapped around her little paws . It's been so great to have such a healthy pup. She loves to snuggle while I am doing computer work, on the couch or anytime she can get someone to pick her up. I've jokingly told my hubby I need to get a baby-sling so I can get some work done. I do hope she settles into not wanting to be held while I am in the studio. I find it a tad hard to hold a paint brush in one hand, and the chi in the other arm. It leaves no place for me to put the palette! I'm apart of a new artist collective that will be launching very soon. Once it's ok to give the go ahead I'll tell you all about it. 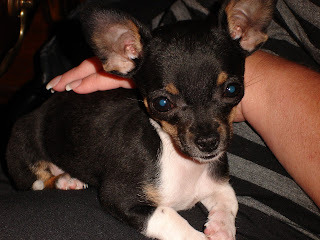 But I knew you all wanted to see pics of the newest baby here.. isn't she a cutie! 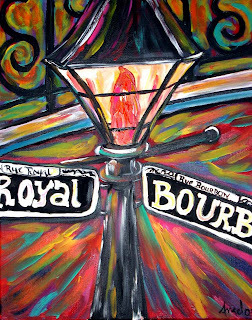 I am excited to inform you that my art print " New Orleans Night Light" has been chosen to grace the rooms in the newly remodeled Hilton St.Charles. This is a wonderful opportunity for me to broaden my realm of influence artisticly. For my collectors, my art going more " mainstream" only adds additional value to the work they own. For me on a personal note, I see this as a dream come true. I've worked very hard over the last 10 years trying to be successful with my art. At times it has seemed that I was the only one that believed in myself. Somehow I managed to stick it out and now it is paying off. I have lots of anticipation for 2007. Suceeding as an artist is very difficult but one of the most fulfilling careers. For all my collectors, be watching for a by invitation only sale on my prints on canvas. They look incredible . More later. I hope to post a photo of my new baby sometime soon. She is a doll! We just got back yesterday from a weeks stay in Cozumel. I wanted to surprise my hubby with a getaway for his birthday. The weather was gorgeous for most of the week. 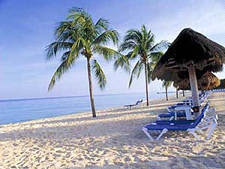 Cozumel is a wonderful place to ge if you love sun, water and being able to do nothing if you so choose. 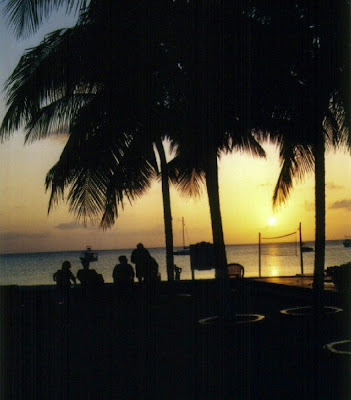 We stayed at Allegro Resort. The staff there is the most hospitable and warm group of people. The water is beautiful, the food ain't bad, and the snorkeling is phenomenal. We did a trip to Palancar, Columbia and " Hollywood " reefs and had a great time although the water was a bit choppy and that made it a bit more strenous. It was nice to take a break after such a busy time before Christmas. Needless to say I am excited about some great new opportunities I'll be sharing with you in the near future. Just wanted to check in quickly to say I am back and I'll have new works up for all to see soon. I'll post more photos of Cozumel once I get them uploaded and tweaked so you can enjoy the beauty even if it's just by photo. I am a full time professional artist from Northern Louisiana. My creativity takes many forms,but mainly New Orleans inspired art as well as contemporary abstraction. I never take my self to seriously and love to laugh. I live in the country with my husband and 2 beautiful daughters, and work out of my studio.